Note that this isn’t the first time marijuana has, of course, ever been purchased with Bitcoin or other cryptocurrencies, rather, this is the first legal Bitcoin transaction to purchase weed on record. To check out the first legal purchase of marijuana with BTC, head on over to the Capital Creators YouTube page to check out the video. 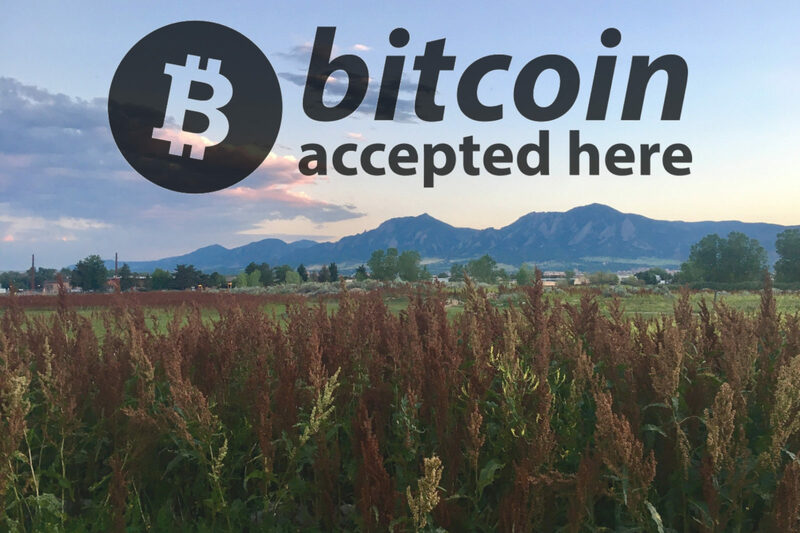 In a 13 minute video released by Capital Creators, a community of entrepreneurs focused on blockchain tech, Helping Hands Herbals, a marijuana shop located in the heart of Boulder, Colorado, proudly displays a ‘Bitcoin accepted here’ sign at the checkout. It then cuts to the Capital Creators founder, and Helping Hands Herbals’ customer, ‘CryptoGoggles’ using his mobile BTC wallet to make a USD $20 purchase of marijuana – free from third-party interference, control, and censorship. Post-purchase,‘CryptoGoggles’ sat down with the woman behind the shop, Brooke, aka @BitcoinMom, to discuss her reasoning for onboarding BTC payments. Most notably, BitcoinMom explained the dangers of operating a cash-only business, one rife with operational costs – including hiring of armed guards and high quality safes. She emphasized the various banking hurdles facing marijuana dispensaries, institutions which have traditionally turned down marijuana retail clients due to risk of non-compliance with stringent federal anti-money laundering laws. How much pot would you have been able to purchase if you had used Bitcoin to purchase your weed from Helping Hands Herbals prior to the recent BTC market surge? If you’re based in Boulder, Colorado, and a crypto HODL’er, consider heading on over to Helping Hands Herbals next time your in the mood for some bud. We also recommend checking out Capital Creators’ full article and video of their recent BTC purchase, by heading on over to their website and YouTube page. Make sure to keep up with the latest blockchain and crypto updates, news pieces, and informative articles by following our crypto blog. And make sure to follow us on Twitter and Medium! We’d love to hear from you about any topics you’d like to see covered this 2019.